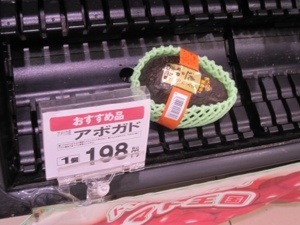 A Quick Visit to a Grocery Store in Japan - Video Slideshow - JP loves LIFE! I love going into grocery stores when I am in other countries! My favorite things to check out are the produce and meat cases. 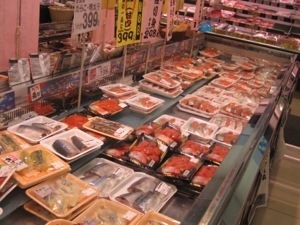 So when given a chance to go to a grocery store in Japan, I jumped at it and grabbed my point & shoot camera! Here are some of the photos I took in a video. Quail eggs. 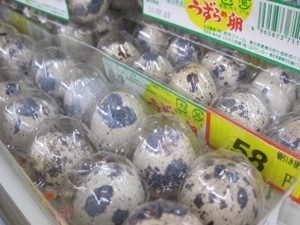 Yep, in the section of the store that includes eggs, there where containers of quail eggs. And since I had maguro the other day that came with a quail egg in the shell sitting in the middle of the bowl, I was intrigued by it. Watermelon is crazy expensive. 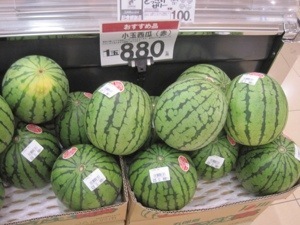 I can’t believe that a miniature water melon costs $9! I mean I love watermelon but I am not sure I could do that. Fruit and vegetables are well protected…. And largely imported. Individually-wrapped apples and avocados are really something when you are used to full cases being set out. 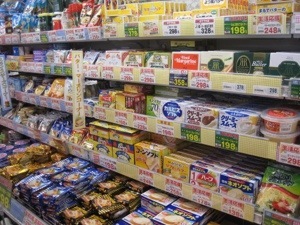 Have you ever checked out grocery stores overseas? If so, what stood out for you? I will now travel with through your blogs. Love how you navigated and described your journey through each department. Thanks for sharing. Thanks for sharing your video and photos! Very interesting to see what different countries value. I have to admit, I’ve never went to a grocery store while in another country but will have to start making that a habit the next time I travel out of the country! I have made a habit of it for a while…. Never know what you will see! My recollection of eggs in Tokyo is that they cost about $1 each. They aren’t cheap that’s for sure! Thanks or sharing your grocery experience, Janice. Things are so expensive there. My sister and brother in law have been to other countries and they say that food on islands is very expensive, and sometimes different than what you expect. Yep. It’s easy to forget how good we have it in a country that has such abundant land, resources and awesome farmers! I really love going to the grocery store in various places… you learn about people by seeing the real world, not just tourist attractions!